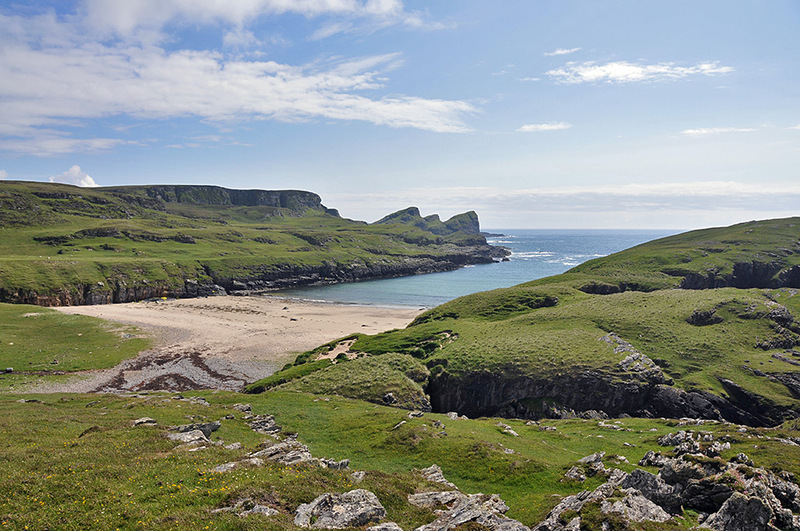 A sunny June afternoon view over Tràigh Bhàn in the northwest of Islay, about two miles north of Saligo Bay. A nice walk with great views over a fascinating coast. This entry was posted in Beaches, Landscape, New Post, Sunny Weather and tagged Islay, Opera House Rocks / Sleeping Giant, Traigh Bhan by Armin Grewe. Bookmark the permalink.